You are walking through an elegant house, admiring the large living-room windows, the paintings on the wall, and the spacious kitchen. Pendant lights cast a soft glow, the terrazzo flooring gleams beneath your feet, the furnishings feel inviting. Then you take off the virtual-reality goggles and resume your meeting. This scenario is becoming increasingly common as more architects incorporate virtual reality (VR) for architecture into their practices. 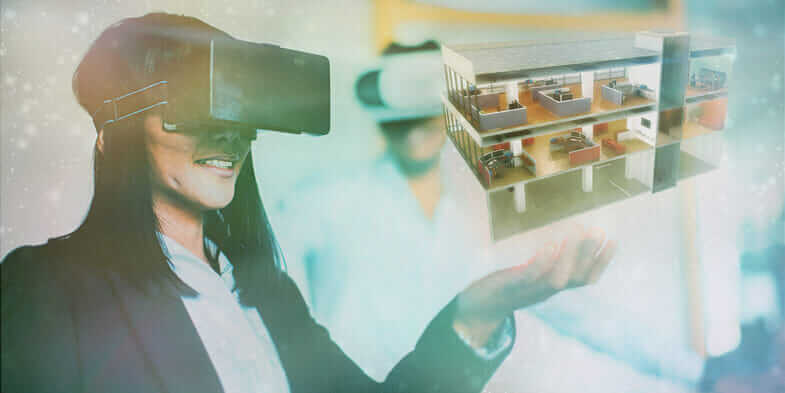 Along with its cousins, augmented reality (AR) and mixed reality (MR), virtual reality allows designers to push the boundaries of visualization, giving colleagues and clients new ways to experience and understand a building or space long before it is actually built. With VR, architects can transmit not just what a building will look like, but also what it will feel like. “Traditionally in architecture, you have blueprints and scale models, and 3D modeling has been around in force for the last 20 years,” says Jeff Mottle, president and CEO of CGarchitect Digital Media Corp. and publisher of CGarchitect, an online magazine and community for architectural-visualization professionals. “VR plays into these traditional methods because the two fit closely together, more than the manufacturers actually realize.” Manufacturers still mostly view VR for gaming rather than enterprise solutions—but that is changing, according to Mottle, who just moderated a panel about these emerging technologies at this year’s Autodesk University Las Vegas. With the dizzying rate of technology advancement and growing options, here are four considerations for firms thinking of entering this brave new virtual world. 1. VR is a rapidly changing industry. Virtual reality has been around in some form for decades (with the first head-mounted systems debuting in 1968), but the technology has not been elastic or advanced enough to have widespread application until now. With advances in mobile technology, which placed high-resolution imagery into everyone’s hands, VR has experienced an explosion in the past two years. Widely available head-mounted displays (HMDs) such as Oculus Rift, Samsung Gear VR, HTC Vive, Microsoft HoloLens, and Google Cardboard have brought VR into the mainstream and made it more affordable (although costs generally still run from hundreds to thousands). Facebook’s purchase of Oculus for $2 billion in 2014 also offered the industry a highly visible boost. 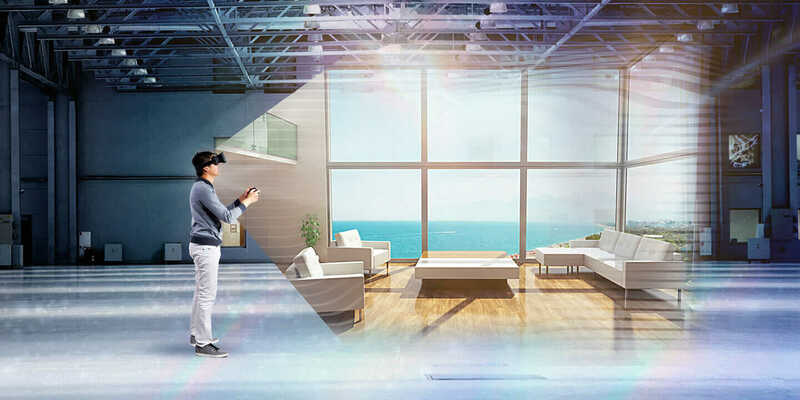 According to a survey in CGarchitect, the leading users of VR for architectural visualization are in Europe (40 percent) and the United States (21 percent), with commenters saying that the technology will be revolutionary for the industry. Nearly 70 percent of respondents are using VR/AR/MR in production or planning to do so in 2017, while 77 percent were experimenting with VR architecture technology or planning to do so. 2. VR, AR, and MR are similar but have different capabilities. With augmented reality, data and/or instructional information are animated over the real-world view, often through smaller devices such as a mobile phone or tablet. Pokémon Go is a popular consumer example of an augmented-reality app; a professional use case would be an engineer remotely teaching a mechanic how to repair something. Then there’s MR: Mixing together aspects of VR and AR, MR takes virtual objects and overlays them onto the real world. Two people (say, an architect and a structural engineer based in another country) can be networked into a virtual world where they can interact together with a virtual building on a real site. 3. Architects can use VR at various stages in the design process. One benefit of VR is that it can be rendered at different Levels of Detail (LOD), so an architect in the early design phase could have an immersive experience in a non-photorealistic room, just to get a sense of spatial relationships and massing. Or the experience could be hyperreal, so that a VR video could have soft sunlight filtering down through a clerestory window, with the sound of birds chirping outside (for client presentations). Mobile VR architecture solutions using cardboard headsets and a smartphone are another increasingly popular solution. “The architect can render stereo 360 panoramic images directly from the BIM software such as [Autodesk] Revit or using a visualization tool like 3ds Max with V-Ray, and publish the images to the web using third-party services like VRto.me or IrisVR Scope,” Larsen says. 4. VR has some catching up to do with the architecture industry. He hopes that manufacturers will see the potential for developing VR solutions specifically geared toward architecture. Already, some firms are translating BIM data into VR with platforms such as Autodesk LIVE and Stingray, which maintains important building data that other gaming systems don’t capture. 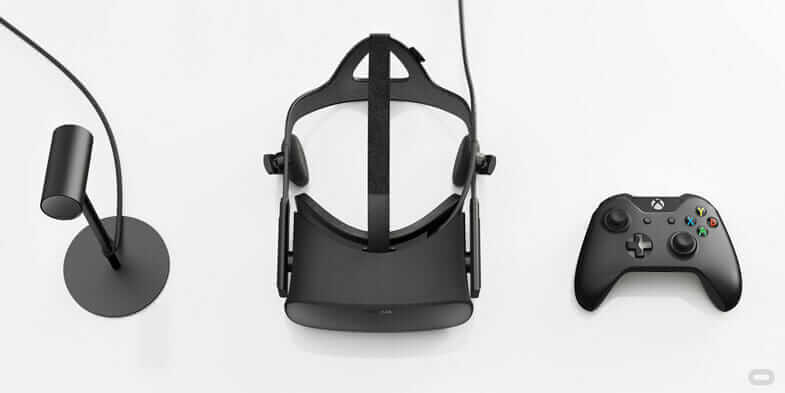 For now, though, gaming systems tend to focus on creating idealized end-user VR experiences rather than applications for iterative building-project design and construction.